Most people believe November is a time for writing with the annual National Novel Writing Month (NaNoWriMo) giving authors night sweats and depleting their bank accounts due to the copious amounts of Red Bull purchased. However, you'd be incorrect. Actually, if you look earlier on the calendar, April is truly the time for writing. And why not? It's the first full month of Spring, flowers are in bloom, and those with pollen allergies need to stay indoors. In other words, it's a perfect time to be productive. The good news is you don't have to do it alone, because three writing programs run throughout April which should help keep the ideas flowing and the allergy medicine to a minimum. Let's discuss them in college-level detail. 1. Blogging from A to Z Challenge: Call this one a writing event of persistence. Six days a week starting on April 1st -- they give you Sundays off to recuperate -- you produce a blog entry on your website. The trick? Each title needs to start in alphabetical order. By the time the event is over you have gone through all 26 letters. The blog posts don't need to be novellas -- just something on the subjects you normally post on. Don't think you'll be alone in this task. There are currently 1500 blogs listed for this annual challenge. 2. Camp NaNoWriMo: This is one of three events NaNoWriMo runs each year. Think of this one as a virtual writing retreat instead of a race to produce a 50,000 word novel. Yes, they want you to complete your novel by the end of the month but there's no pressure if you don't. The event is offered to both adults and youth. 3. National Poetry Month: Each April poets around the nation join together to celebrate National Poetry Month. Events include Poem in Your Pocket Day, which gets people to select a poem and share it with others throughout the day, and Dear Poet, a program which encourages 5th-12th grade students to write letters on poems read or heard. In addition to these national events, local chapters celebrate the month with poetry writing and reading programs. Combined, these three events mean the following -- you can't make any excuses not to write! Get some rest, fuel up, and get working on April 1. Most of all, have fun! What writing event do you plan to participate in? I had originally opted out of the A to Z for the first time this year because I had knee surgery scheduled. Now all that has changed and I'm dealing with a broken foot bone instead (and have plenty of time on my hands). Instead of jumping back into the A to Z, however, I think I'll try Camp NaNoWriMo. Might was well do something productive during this downtime. 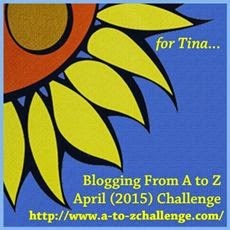 I'll be participating in the A to Z Challenge for the first time. Now I just have to figure out what my theme will be . . . I plan to participate in NAPOWRIMO, (National Poetry Writing Month www.napowrimo.net) Each day, they'll post a prompt, and I'll write a poem, either based on their prompt or on one I find somewhere else, and post it on my blog at http://abbiescorner.wordpress.com . If I don't have time or inspiration, I'll stick up a poem I already wrote. April is also when we writers/parents realize that there are just two months left until summer break. I'm not doing any of the official April activities, but I hope to work like a fiend on queries/submissions. Thanks for the info, Rich. 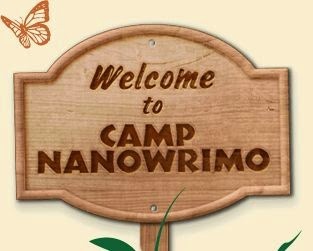 I didn't know about Camp NaNoWriMo ... interesting.